A new communication portal is available to Rentec Pro and PM users. Right-click on any tenant, and choose “Email / SMS”. 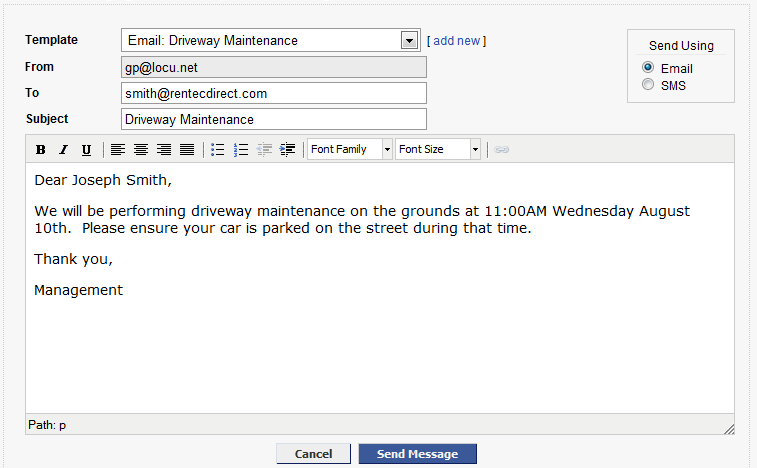 This will open up a list of all emails to the tenant along with any incoming messages you have recorded. From here you can send email, send SMS messages, and record incoming communications with your tenants. The information is then permanently and safely stored within the Rentec platform and can be retrieved at any time in the future. You can also now define an unlimited number of email templates (Settings, Email Templates), then use those templates right within the email composer. SMS messaging requires a new SMS phone number which gets tied to your Rentec account. We are waiving the $10 phone number cost for the month of August for anyone wanting to try the service. This would be very beneficial. I believe collections via SMS should be much more effective and cost efficient than the traditional methods. I would like for someone to contact me about this if possible. Why just for tenants? This would make a great feature in the PM version for managing communications between fields staff and owners with respect to a specific property. For one, the facility could be used to forward work/repair orders to field staff. It would be very beneficial to have all of these communications tracked within the property. I agree with Larry that would be a fantastic addition. 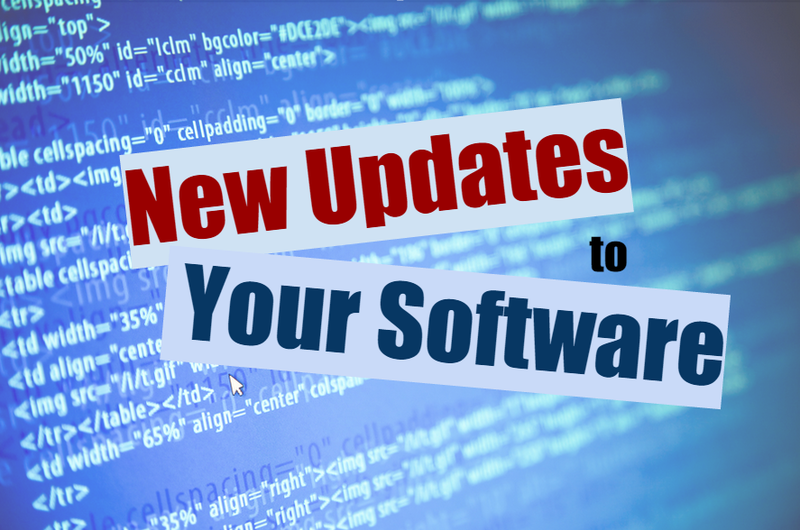 We do not currently use Rentec software but are very interested in purchasing it. Please explain the $10 phone number fee- is this a $10 fee per month that we would incur for using the SMS communication feature? Thanks. Yes, exactly. The $10 covers the cost of the phone number and the first 500 text messages per month.